If you change your old iPhone 5/5S/6/6S to new bought Android phone, Samsung Galaxy S7 as example, you may wonder how to transfer the precious photos and pictures from the old to the new one. Most users choose to plug the iPhone and Android phone in the PC or Mac and drag the images from iPhone to the computer via iTunes. Then, drop them to the new Android device directly. This is a workable, but not convenient. 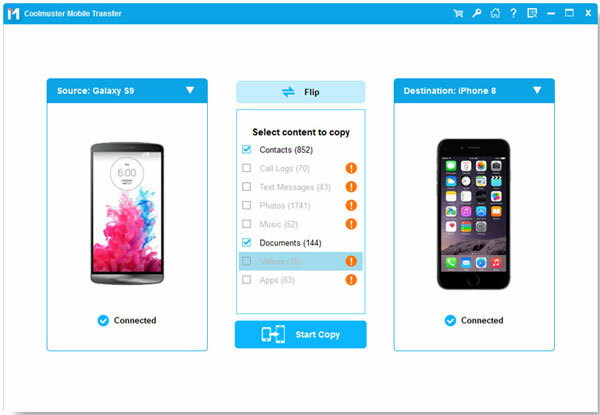 In this article, we will introduce you an one-click way to copy iPhone pictures to Android phone or tablet. 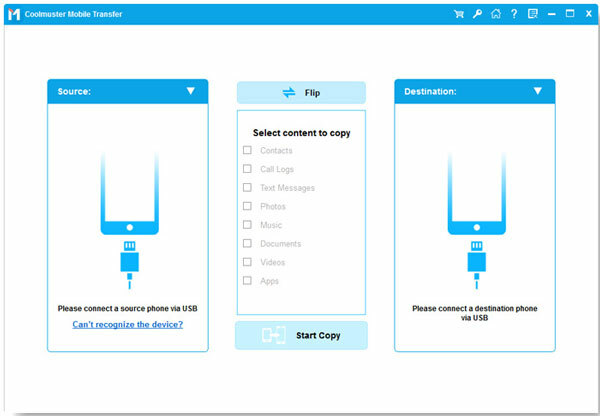 Coolmuster Mobile Transfer, an almighty and easy-to-use data transferring tool, helps you transfer not only photos, but also contacts, text messages, videos, music, apps and many more from iPhone 5/5S/6/6S/7/7 Plus to Android phone or tablet, such as Samsung, HTC, Google, LG, Sony and so on. The whole photos transfer process can be finished within 3 simple steps, along with several mouse clicks. Just take a glance at the instruction below, and check how it works. Step 1. Link the old iPhone and new Android device to the computer. Download Mobile Transfer on your computer and install it. Launch it and then you will see the following interface as below. Step 2. Once the two connected devices are detected by the Mobile Transfer, they will be listed on the interface, with all transferable file types are displayed. Open "Photos" folder and choose the images you need, click the transferring icon to begin the photos transfer from your old iPhone to new Android phone. Note: Be sure that both your iPhone and Android device are well connected to the computer during the process. You can try Mobile Transfer and if you like it, you can introduce it to your friends.